India's bid to join the Nuclear Suppliers Group (NSG) has suffered a setback following Chinese opposition. The plenary of the NSG ended on Friday without a decision on India's membership. China said India should not become a member until it signs the nuclear non-proliferation treaty (NPT) - a key requirement for all NSG members. The NSG sets global rules for international trade in nuclear energy technology. In a statement following the end of the plenary session, the group confirmed that India's application had been discussed, reports India's PTI news agency. "Participating governments reiterated their firm support for the full, complete and effective implementation of the NPT as the cornerstone of the international non-proliferation regime," the statement read. India needed a unanimous vote in the 48-member group to become a member, but Beijing took the position that the rules should not be bent for India. "Applicant countries must be signatories of the NPT. This is a pillar, not something that China set. It is universally recognised by the international community," the Reuters news agency quoted Wang Qun, the head of the arms control department in China's foreign ministry, as saying. China was always the main opponent to India's US-backed bid to become an NSG member despite hectic diplomatic discussions between Delhi and Beijing. US President Barack Obama had publicly endorsed India's candidacy during his meeting with Indian Prime Minister Narendra Modi earlier this month and also urged other NSG members to consider it favourably. Correspondents say that India's failure to secure a seat in the NSG will be seen as a setback to Mr Modi's foreign policy. India's main opposition Congress party has referred to the development as an "embarrassment" to the country. 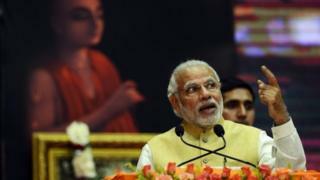 "Prime Minister Narendra Modi needs to realise that diplomacy needs depth and seriousness and not public tamasha [spectacle]," a party spokesman said.